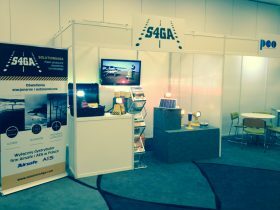 In October 2016, S4GA was presenting its hybrid lighting solutions for the Polish Major Airports, Aviation Authorities and Military Forces at International Airport Conference in Warsaw. The Conference was dedicated to innovations in the national airport industry and the ways of implementing new technologies into aviation sector. Hybrid airfield lighting system was recognized as highly effective and reliable solution for small- and medium-sized domestic airports.